A week from Friday, shareholders of Rite Aid Corp. will decide if the independent pharmacy retailer can merge with Boise-based Albertsons Companies. If 50% say yes - the deal is likely to happen. If it can't reach that threshold, the next steps for the two companies are unclear. Advisors say no: Two big shareholder advisory firms said a no vote was appropriate. Institutional Shareholder Services & Glass Lewis gave the tie-up a thumbs down. ISS report: “It does not appear that Rite Aid shareholders would receive a fair ownership interest in the combined company, a concern heightened by potential conflicts of interest during the negotiation process and apparently reflected in the company’s underperformance since announcement." A Rite Aid spokesperson disagreed, telling Reuters the deal “will significantly improve Rite Aid’s growth prospects, financial strength and ability to deliver compelling long-term value for shareholders." Other shareholders against: Highfields Capital Management came out earlier this month and said it would vote its 4.4% stake against the deal. "The proposed transaction is in the best interests of Albertsons and Rite Aid management, but not Rite Aid shareholders," Highfields said. It's about scale: The two companies have mounted a detailed campaign to gin up support for the deal - with an extensive website and letters to Rite Aid shareholders ahead of the vote. Albertsons COO Jim Donald on CNBC: "Scale is big here. Scale is what we can use as we continue to [serve] customers online and brick and mortar." Amazon looms: With the pending merger of Albertsons and Rite Aid on the table, Amazon announced it would acquire small prescription-by-mail company PillPack - one of a number of moves the web giant has taken in the drug space. E-commerce perks up: Albertsons said on a recent earnings call that sales from e-commerce more than doubled from the previous period - up 108%. The company has been working to drive initiatives - including home delivery, "Drive Up and Go," meal delivery service Plated and a partnership with Instacart. But it won't be at the Southshore Shopping Center. Nor will anywhere else to shop - for now. Albertsons Companies will fill the remainder of the former Kmart at Apple and Parkcenter, according to filings with the City of Boise. The company already occupies a portion of the space - and until last year, discount retailer Gordmans took the rest. But it won't be open to the public. Instead, according to filings, it will be used for storage to support the retailer's so-called set store. A spokesperson previously told BoiseDev this is used for prototyping and other activities that support the company's stores across the country. The store was moved up from California after the acquisition of Safeway in 2015. Could this be the future home of Trader Joe's? Super cheap supermarket Trader Joe’s currently has just one location to service all lovers of Cookie Butter in the Treasure Valley (and all of Idaho for that matter) in Downtown Boise. But could another store be on the way? A second location has been mentioned as a possibility for the Bridges at Lakemoor development on Eagle Rd. near the new TSheets headquarters in Eagle. (Editor’s note: Behind “When will we get IKEA?” and “We really need In-N-Out,” this is the most common question I get). Trader Joe’s spokesperson Kenya Friend-Daniel told BoiseDev "I have no confirmation of a new Trader Joe¹s location being considered for Meridian, Idaho." She noted to check back for plans in 2019 and beyond. TJ's generally works to keep its new stores tightly under wraps until it is ready to announce it. In 2012, when Boise Weekly reported on the new TJ’s store in Downtown, company officials denied it. The store opened about a year later. A pad site in the general shape and rough size of a Trader Joe’s is plotted on the corner of Eagle Rd. and Colchester St., according to sales documents from Hawkins Co., which owns the development. The pad site is still marked as available. Hawkins is also the development partner for TJ's Downtown Boise store. 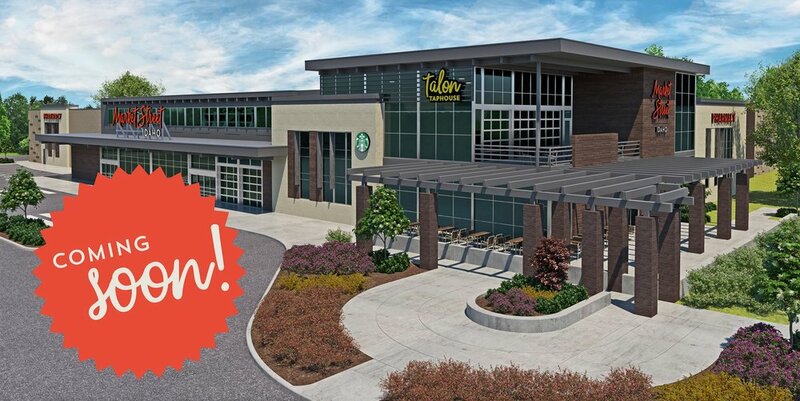 Announced tenants for the Lakemoor development include F45, Luxe Reel Theater and Barre 3. Albertsons Companies is working on new technology to make it easier to buy gas at one its fuel centers around the country. During an investor day Tuesday, the company said it has developed a 1-Touch Pump and Go process that uses smartphone devices to make buying gas faster. “You pull up to one of our in-house gas stations, (the technology) recognizes you’re at the gas station, it turns the pump on for ya, you fuel and it tenders you out and you are on your way," chief marketing and merchandising officer Shane Sampson said during the investor presentation. "We are making it fast and making it seamless." The company says it plans to apply for a patent on the technology. The test could come to Idaho soon. "We are piloting One Touch in a fuel center in NorCal with a small employee group," Albertsons Companies VP of Communication and Education Christine Wilcox told BoiseDev. "Following that, we plan to also pilot it in Boise. After that, we will determine a rollout schedule." Albertsons currently operates more than 390 fuel centers. The company is also looking at using smartphone technology to allow some purchases in stores without having to visit a checkstand. Amazon, Inc. is piloting a technology that allows customers to walk into a store, grab some items and leave -- without ever scanning a barcode or visiting a checkstand. Now, Albertsons Companies hopes to try something similar. During its analyst day Tuesday to talk about the proposed merger with Rite Aid, company officials touted a test of a similar idea. “We are experimenting with Amazon Go-like technology today where someone could come in and pick up a Plated order, it would know that you were in the store, it would tender an order and you could leave outside of the check stands," Shane Sampson, Chief Marketing and Merchandising Officer said during the presentation. The company's presentation materials said the pilot is for a "limited set of products like Plated and other prepared foods." Albertsons Companies VP of Communication and Education Christine Wilcox tells BoiseDev they have not yet started to pilot the technology. A similar idea is being applied to gas stations - with a trial soon coming to Boise. Albertsons Companies is laying out its future if shareholders approve a merger with Rite Aid. During a four-hour long presentation to Wall Street analysts, the company talked about how it plans to weave the two companies together - and how it thinks the combination will benefit customers and shareholders. Together, the two chains will have 4,866 total stores, with 4,327 total pharmacy counters. They will serve 40 million customers each week and employee 336,000 people. 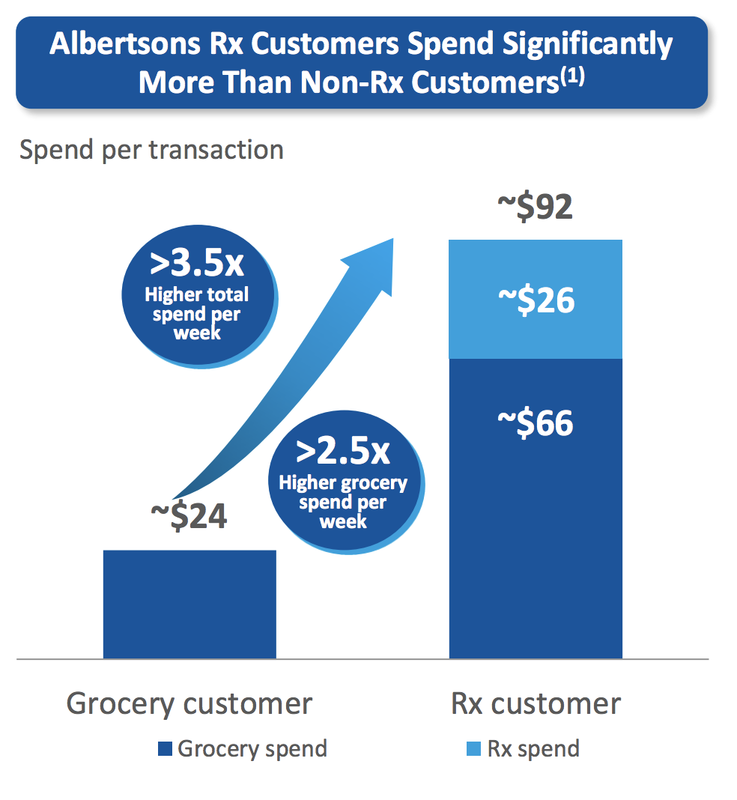 Albertsons says it will be first or second in terms of the prescription market in two-thirds of the markets it serves. They will generate $83 billion in revenue and make a profit (adjusted EBIDTA - a Wall Street jargon term for 'earnings before interest, depreciation, taxes and amortization) of $3.4 billion. In Boise, Albertsons/Rite Aid will be the number one pharmacy provider when ranked on number of stores. The company says it will be ranked number one in the Intermountain Region, which includes Boise, for grocery sales. One of the key ideas from the merger will be to revamp the "front of store" operations at Rite Aid locations to integrate ideas and best practices from Albertsons stores. The chain will "improve and expand" Rite Aid's fresh food offerings - with items like yogurt, fruit cups and sandwiches. It also plans to bring the store label brand program Albertsons acquired when it purchased Safeway to Rite Aid. "Albertsons can leverage its strong fresh and own brands grocery items at Rite Aid by offering various products such as branded fruits and veggies, cheeses, meats, dairy, and dry grocery, bottled waters and sodas," the company said in its presentation. They also say they will look at the layouts of Rite Aid stores and "reviewing plans to expand grocery, fresh and liquor sections in Rite Aid." 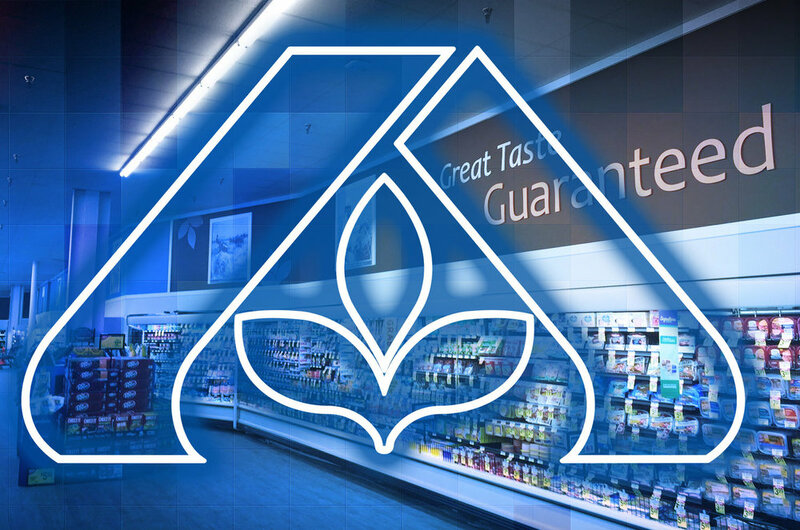 Albertsons says it will apply its "full, fresh, friendly, fast & clean" operating model to the Rite Aid stores - focusing on customer service and well-merchandised stores. Albertsons recent acquisition of Plated brings the chance to bring ready-to-prepare mealkits to Rite Aid stores and hopes to Plated approved in national health plans so "doctors can prescribe" the solution to patients. During the presentation, the companies said they plan to roll out the Rite Aid brand in nearly all stores owned by Albertsons regardless of the grocery brand (i.e. Albertsons, Safeway, Vons etc.). They said the will look for a "network effect" by increasing traffic in stores and basket size by rebranding the pharmacies as Rite Aid." Plans don't include renaming the Jewel-Osco pharmacies which are centered on the greater Chicago area. "Albertsons has private label (health and beauty) products... but can benefit from Rite Aid’s private label health and beauty offering," the company wrote. Rite Aid products like nail care, first aid, lotions and OTC drugs could start being offered in Albertsons stores as well. More in-store health clinics could come to Albertons stores in the future as well. The combined company plans to "expand and enhance clinic operations for the combined company by utilizing existing well-invested, built-out space in Albertsons stores and leveraging Rite Aid’s experience and expertise in operating RediClinic. In Boise, Albertsons runs a minimal loyalty program focused on gas rewards - but at other stores across the country, it operates a more traditional loyalty program. The company says it will combine this program with Rite Aid's "wellness+" program and roll this out shortly after closing. 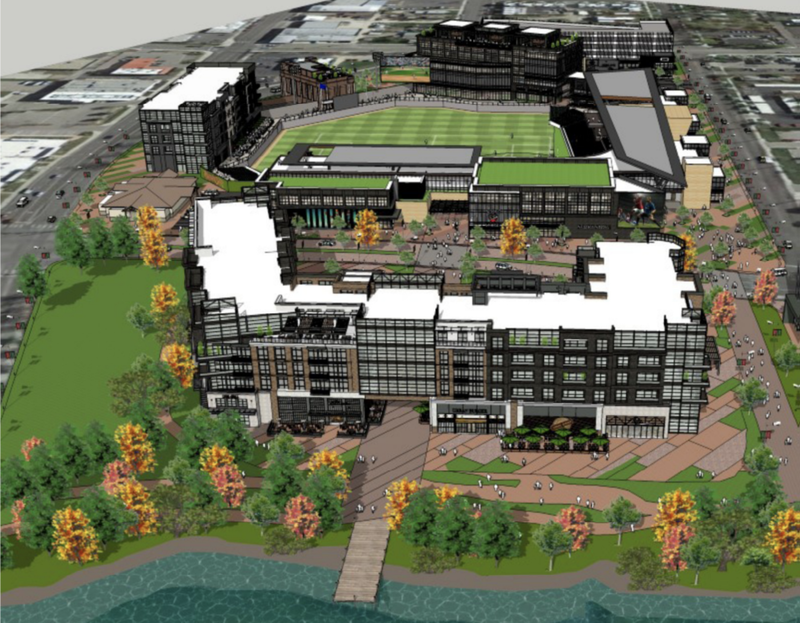 Capitol Terrace to become "Main+Marketplace"
Plans for one of the most prominent commercial projects in Boise are being unveiled. Main + Marketplace will be the new brand for the retail part of the Capitol Terrace building at 8th St. and Main St. in Downtown Boise. As BoiseDev first reported in November, an indoor market project is envisioned for the building's common spaces surrounding an escalator core facing 8th Street. Main + Marketplace is a 2-story retail center located in the hub of activity in downtown Boise on 8th Street between Idaho and Main Streets. 8th Street is commonly referred to as “Restaurant Row” with a number of great local and regional restaurant concepts, vibrant patio seating, and a hip day-into-night vibe. 8th Street also connects the offices in the central business district to the Boise Centre on the Grove, CenturyLink Arena and many nearby hotels. Accordingly, it is well traveled with significant pedestrian activity. 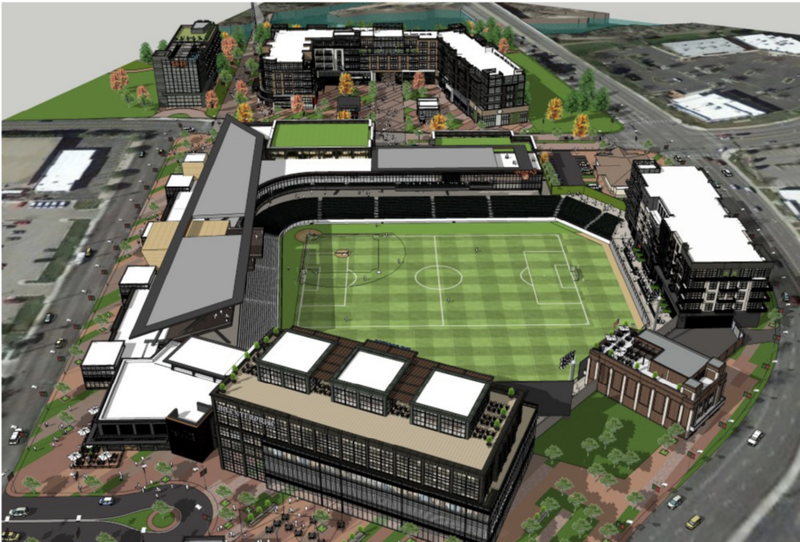 In addition, there is vital hotel, office and residential growth in downtown Boise, all within 6-8 blocks of Main + Marketplace. The Village at MeridIan is set to get another high-profile tenant: Amazon Books. An Amazon Books store in Seattle. Photo via Amazon. The mega-corporation’s physical bookstore is in the permitting phase for a location next to Anthropologie, the former home of Paperie + Pen (which moved elsewhere in the center). According to plans for the outlet obtained by BoiseDev, the new store will feature books, electronic devices, and a variety of general merchandise. The 4,172 square foot space will also offer several reading areas, a magazine rack and a spot for kids. Taller bookshelves would ring the space with general merchandise in the middle. A magazine area is also planned. While the layout sounds pretty standard, the Amazon Books concept differs from a traditional bookstore in a few key ways. The stores are stocked according to Amazon’s vast data capabilities according to the Washington Post. Books are stocked based upon local preferences and reader habits. Amazon Books interior. Via Amazon. All book covers face forward instead of some with just spines visible. At a recently-opened store in Washington, DC, the store features no prices. Instead, tags by each book show reviews and star ratings. Customers are encouraged to use the Amazon app or handheld scanners to find out what an item costs. The Village at Meridian store would be one of Amazon’s first wave of stores. Thirteen are currently open with five more announced. The Boise metro area is by far the smallest location among open or formally announced Amazon Books locations - joining stores in areas like NYC, LA, Silicon Valley, Seattle and the like. A store in Meridian could give Amazon the ability to test a smaller market just a stone’s throw (and quick flight) from its headquarters in Seattle. Amazon has been rapidly increasing its physical retail presence since opening the first Amazon Books location in Seattle in 2015. It recently opened a cashierless convenience store to the public after extensive testing in the Seattle area, and purchased Whole Foods and its 470+ stores last year. Tai Pan Trading Post on Milwaukee St. in Boise is closing. The Asian-themed home goods store is liquidating inventory and fixtures. East Idaho News notes the Idaho Falls and Orem, Utah stores are also closing. Tai Pan Trading says it is "an importer of quality home décor products at affordable prices." With the Boise and Orem closures, all locations of the chain will be out of business. The merger would bring together the assets owned by Rite Aid which aren't being acquired by Walgreens-Boots Alliance - 1,932 stores in all as well as all of the stores owned by Albertsons under one roof. Headquarters will be in both Boise, Idaho and Rite Aid's HQ of Camp Hill, PA. The news release terms this as "co-headquarters." How this plays out on a long-term basis will be an open question for Treasure Valley leaders and workers. Rite Aid CEO John Standley will be CEO, while Bob Miller will be Chairman. Where Standley will be based isn't known. Rite Aid will pick four seats on the board, Albertsons will pick four seats and one seat will be jointly selected - giving this a carefully set structure to make the companies "equal" in the new entity. The companies will go public. Rite Aid is currently a publicly traded company while Albertsons is the nation's fourth-largest private company. It has been working to go public for several years but has not been able to accomplish that goal. Store-branded product lines from both chains will be cross-polinated - O Organics items at Rite Aid for instance, and Daylogic at Albertsons. A merging of loyalty programs - your phone number could earn gas and other rewards at both chains.